Super Street Fighter IV has been around for awhile, but it’s never been seen quite like this. At its core it is a side-view action-fighting game very similar to the console versions, but this time there’s a 3D effect giving the game a sense of depth. Backgrounds truly look further away than the characters, which pop out. Personally, I’ve never been very skilled at these types of games but I was able to get into the gameplay relatively easily. The fighting is just fun and the characters are hilariously over-exaggerated and seem like something out of a poorly translated anime. With single and multiplayer modes available in almost every conceivable way---and a whopping 35 characters---there is a huge amount of content. 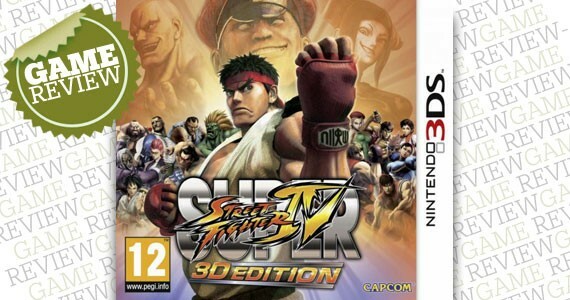 What might be the only 3DS launch title worth buying, Street Fighter IV: 3D Edition is a tremendous amount of fun that will bring you back to the Super Nintendo days.